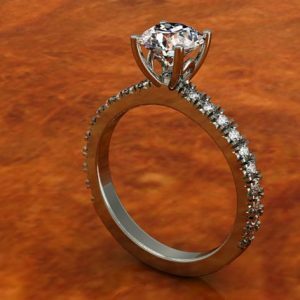 This intricate ring would be the statement piece that you would love to show off. 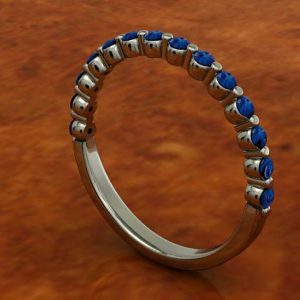 Perfect for wear on special occasions or as a wedding ring, this beautiful piece would be perfect for the woman who isn’t one for the ordinary. Our Infinity Ring has 12 1.7mm 0.30ct GH SI1 diamonds on the band. 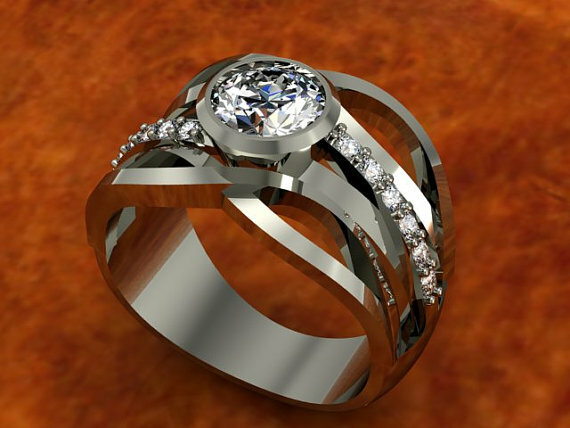 This ring is set with a 1.0ct cz, or purchase a diamond center stone through BrillianteDesigns. This stone will come with a certificate of authenticity. 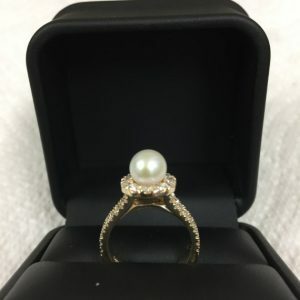 In the notes section at check out, please specify whether you would like colored stones, or CZ’s instead of diamonds in the band. 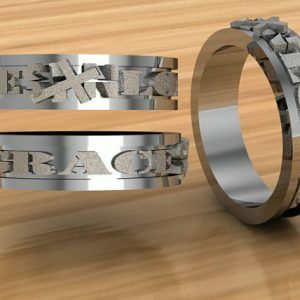 Also, please let us know if you would like any further customization.